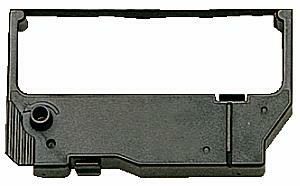 Premium Quality CRM23BK Black POS Ribbon (6 pk) compatible with the Verifone 900. The use of compatible supplies does not void your printer warranty. Premium Quality CRM23BR Black-Red POS Ribbon (6 pk) compatible with the Verifone 900. The use of compatible supplies does not void your printer warranty. Premium Quality CRM23PL Purple POS Ribbon (6 pk) compatible with the Verifone 900. The use of compatible supplies does not void your printer warranty. Premium Quality RC200B Black Printer Ribbon (6pk) compatible with the Star SP 200/ 212/ 242/ 246/ 298/ 500/ 512/ 2000/ 2320/ 2360/ 2520/ 2560 POS. The use of compatible supplies does not void your printer warranty. Premium Quality RC200BK Black POS Ribbon compatible with the Star SP 200/ 212/ 242/ 246/ 298/ 500/ 512/ 2000/ 2320/ 2360/ 2520/ 2560 POS. The use of compatible supplies does not void your printer warranty. Premium Quality RC200BR Black, Red POS Ribbon (6 pk) compatible with the Star SP 200, 212, 242, 246, 298, 500, 512, 2000, 2320, 2360, 2520, 2560 POS. The use of compatible supplies does not void your printer warranty.